Iowa Governor Kim Reynolds will once again address the annual Iowa Renewable Fuels Summit to discuss the many ways biofuels boost the state’s economy, protect the environment, and drive Iowa into the future. Also on the Summit program is former EPA staffer Paul Argyropoulos, who oversaw the implementation of the Renewable Fuel Standard (RFS) for over a decade. Argyropoulos is now President of Policy Nexus Advisors and he will share his thoughts on the history and future of the RFS with attendees at the summit. 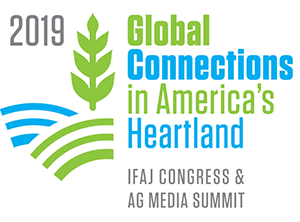 The Summit will take place at the Meadows Conference Center at Prairie Meadows in Altoona, Iowa on Tuesday, January 29. The event is free to attend and open to the public but registration is required. The last day to preregister is January 25, 2019.